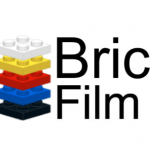 We are happy to announce the details and prizes for the 2019 Brick Film festival that happens during Brickworld Chicago. Anyone is eligible whether you attend the event or not. You can find the details at https://brickworld.com/brickfilm-festival/. We want to find out who the next Stanley Kubrick will be!